Welcome to CGI's Fundraising Page! We started this fundraiser to help grant wishes for children battling critical illnesses, like Naomi. CGI is raising money in honor of Naomi, who is five years old. Wish kids are some of the bravest and sweetest kids you'll ever know. They wish to work in a pickle factory, become a superhero, or go snorkeling. 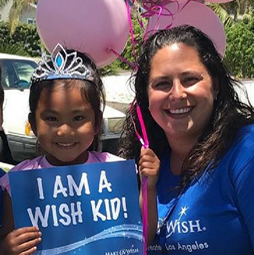 Naomi's wish is to go to Disney World and meet Cinderella, Belle, and Aurora, and ride in the carriage to see the castle, but most of all to share her wish with her sisters. Their innocence and unexpected wisdom stays with you.